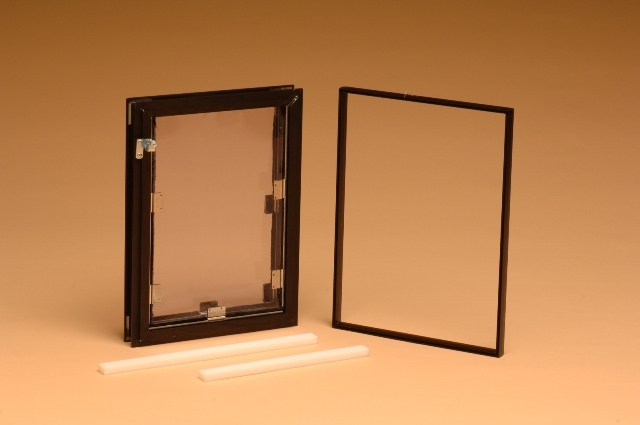 The Hale Pet Door™ “In Glass Model” is designed to be installed directly into a pane of glass. 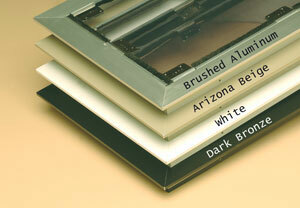 It is the most attractive and unobtrusive option for glass door or window installation. 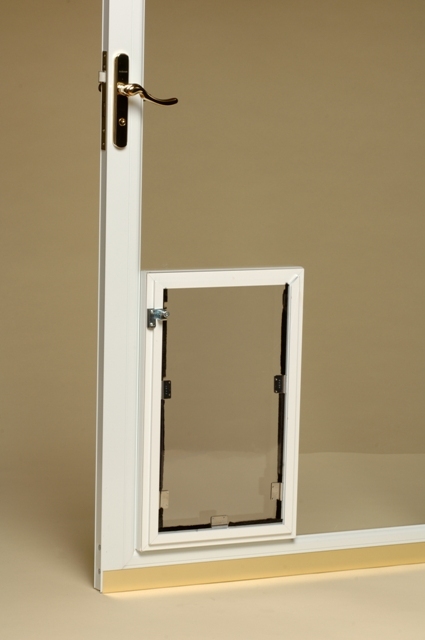 The single model is used with 3/16” tempered safety glass and the double model is a specially modified door model used with tempered insulated glass units of any thickness. 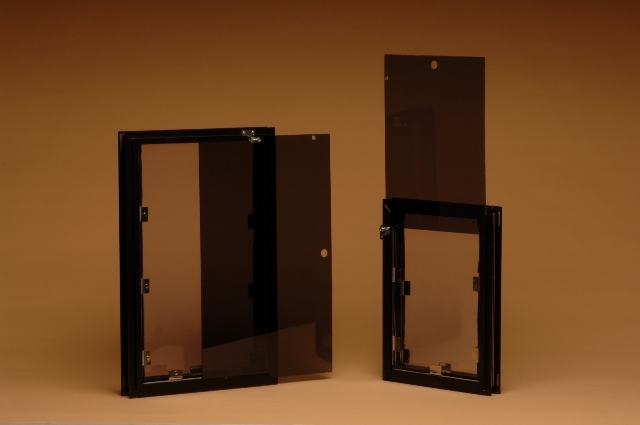 This application requires replacing the entire pane of glass and therefore, professional glass cutting and installation is required. There are several options available for this professional installation so please call us at 800-646-4773 to see which avenues are currently available in your location. Quality, energy efficiency, safety and security are priorities with Hale. 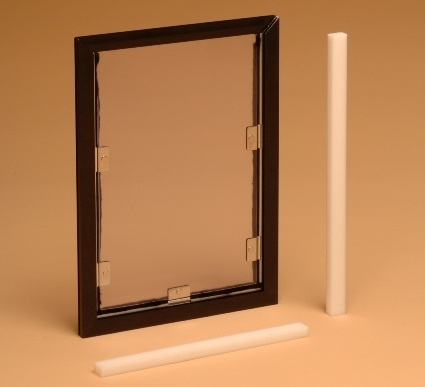 As are all our models, our In Glass Model has been rated highest in insulating and sealing capabilities, insuring protection against wind and insect intrusion. Please visit our information page for added information on sizes, colors and other available options and then call our customer service number at 800-646-4773 for the authorized installer nearest you.